I needed some more Donkey Kong in my life. Those are all of the upcoming titles for the Wii U that are coming out this year and their release dates from the GameStop website. I bolded all of the titles that I plan on getting and I think that six titles is a pretty good number for a system. Even if you may not want the things that I plan on getting, I know that there are titles there that appeal to video game fans. When we look at the list, there is an interesting mix of Nintendo favorites, third-party titles, and stuff that parents will buy for their kids and regret afterwards. Sounds like the holiday season already. I know someone who already reserved this bad boy. Let’s go over these games in groups shall we. I would like to start with Nintendo games. What do people think of when they think Nintendo? Mario, Donkey Kong, and Zelda. Those are three pretty recognizable series and we have all three of them showing up on this list. I liked Donkey Kong Country Returns, but I am already dying to play this new game. I am a big time Donkey Kong fan and we went through quite the dry spell in between games for a while there. Even though Super Mario Bros. U is out, I know that people want this new game. Why is that? Cat powers. I don’t think that I need to say more. The interesting one here is the HD release of The Legend of Zelda Windwaker. That was a fantastic game back in the day and it holds a special place in my heart. It was the first Zelda game that I finished. Unfortunately, my desire to buy it is not there because it is an HD remake, but that is only because I am already buying so many games. If there was a smaller lineup, then I would totally be on board with getting the game. Regardless of the various issues these may have with either timing or the fact that one is an HD remake, these three games will be the heavy hitters for Nintendo. Why is that? They have name recognition for relatives that will buy the system for their children. 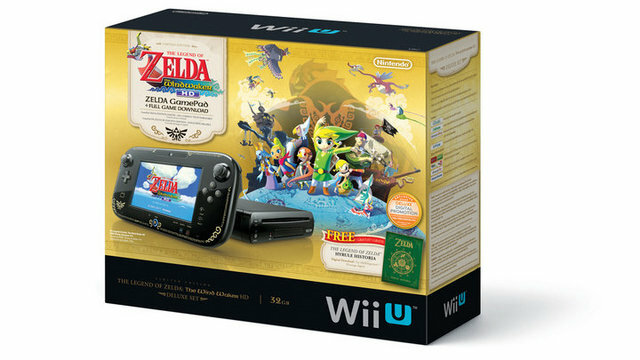 Did I forget to mention that there is going to be a Wii U bundle for The Legend of Zelda Windwaker HD? Well there is and it will feature a cool design, premium memory, and a digital copy of The Hyrule Historia. Sounds good to me and my friend already jumped on that one. What else is there to talk about? There are some other games that you would expect to see on the system, so let me go over those quickly. I am getting Scribblenauts because I am a nerd that loves DC. The Wonderful 101 is a new Nintendo exclusive that seems interesting and I want it because of the super heroes. Sonic Lost World is an interesting one. We all know that Sonic games have been lacking in more than just recent memory, but I am ready to give SEGA another chance. Is this faith based on anything? The trailer looked good enough for me to say they have to get it right eventually. There are a bunch of other games that don’t look great, but do have an audience like the Monster High and Barbie games. Aside from that, we have some interesting third-party titles. I need to get one of these. Watch Dogs, Call of Duty: Ghosts, Assassin’s Creed IV Black Flag, and Batman: Arkham Origins are third-party titles that are bound to sell well. The question is whether or not they will sell well on the Wii U. Gamers that look for games like these do not usually buy them for the newer Nintendo systems because of the lack of a standard controller. That is why the success of the pro controller and third-party controllers like it will be pivotal when it comes to the third-party library of the Wii U. Gimmicks are nice, but plating Madden on the Wii was that at best. 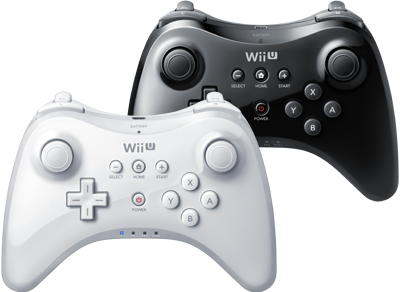 People like a certain type of controller and neither the Wiimote nor the gamepad fit that mold. I will be getting my hands on one of these controllers shortly and I will hopefully be surprised in a good way. I am looking forward to these serious third-party titles, but not on the Wii U. Overall, the holiday line up for the Wii U looks solid, but I almost don’t want to count these due to the lack of sales that are projected for them. Will they sell as poorly as expected? Who knows, but I don’t have faith. I do have faith in things like Donkey Kong Country Tropical Freeze and Super Mario 3D Land. If you look at the upcoming additions to the library, I say that they definitely stack up to the competition. Honestly, as far as games go, the biggest competition for the Wii U right now is the PS3. The new systems aren’t hitting us this hard out of the gate. Given, they have things like Madden, but so do their predecessors. I think that the fact that games are coming out on both the new and old systems will hurt Sony and Microsoft this holiday season in terms of new system sales. I am no economist, but that is what I think. What I want to know is what you all think about this. Do you have a Wii U? Do you plan on buying one? Do any of these upcoming games appeal to you? Is the holiday line up enough to convince you that a Wii U is a good buy? Do you plan on playing serious third-party titles on your Wii U and did you do it on your Wii? Are HD remakes a system seller?